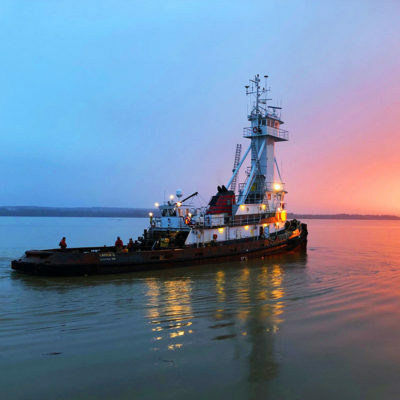 Curtin Maritime was awarded the contract for the Design-Build project in 2013 that included the design and fabrication of a new upper and lower house, Tier rated engines and generators plus a hydraulic system with a hydro crane and four-point mooring system. 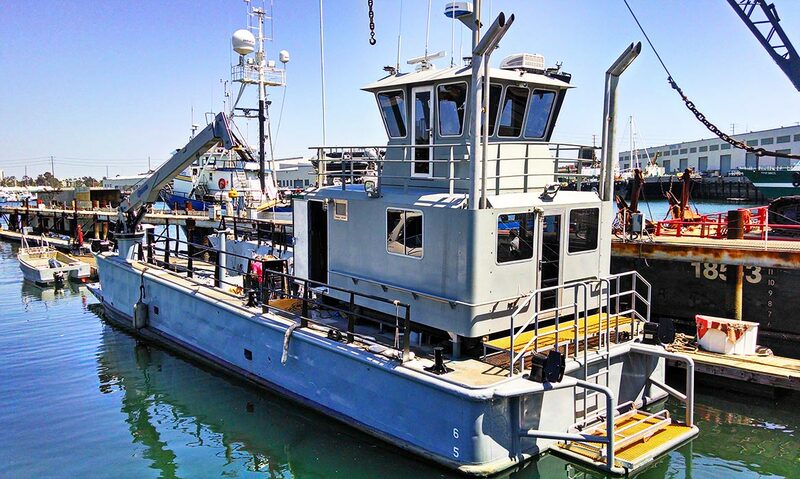 When the POLB Harbor Patrol acquired the vessel, its goal was to convert the boat into a platform that could support both the POLB Commercial Dive Units operations, as well as serve as an emergency response and salvage vessel within the port. 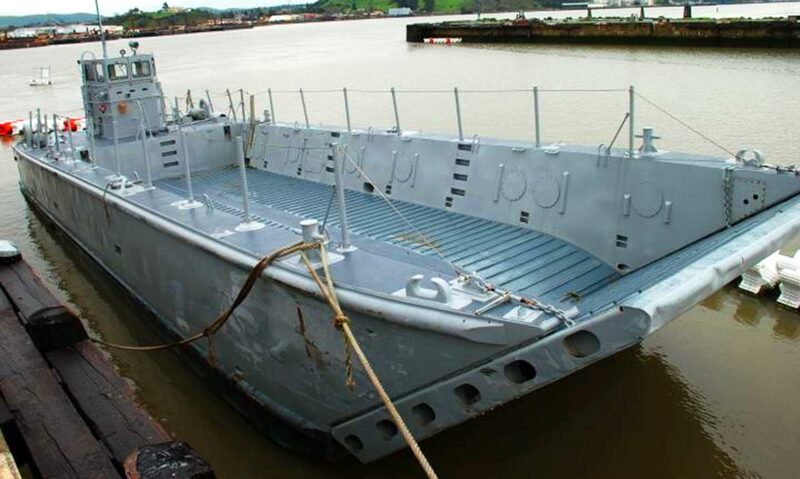 Because there was no existing design that fulfilled all the requirements, an RFP with a design-build spec was issued by the POLB to the local shipyards. 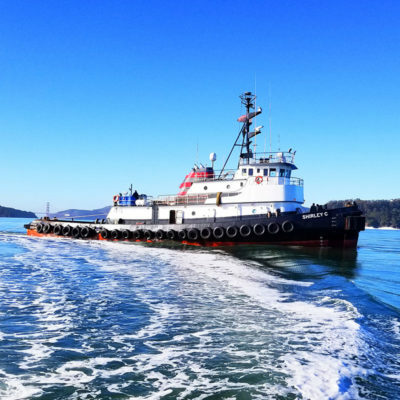 Curtin Maritime designs, builds and operates all of our own equipment, from complex projects like the design and construction of our crane to repowers of our own vessels. 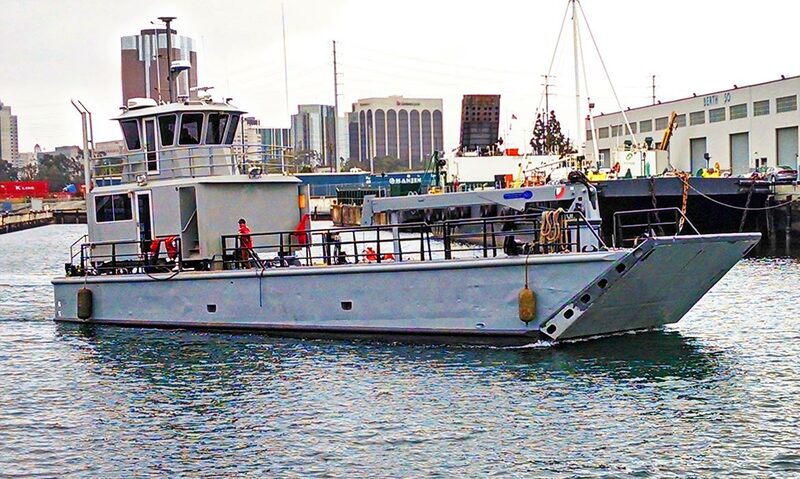 While Curtin Maritime rarely builds boats for outside clients, this project was something we saw as a great opportunity to both displays our capability and construct a much-needed working platform and security asset for the Harbor Patrol in our home port. 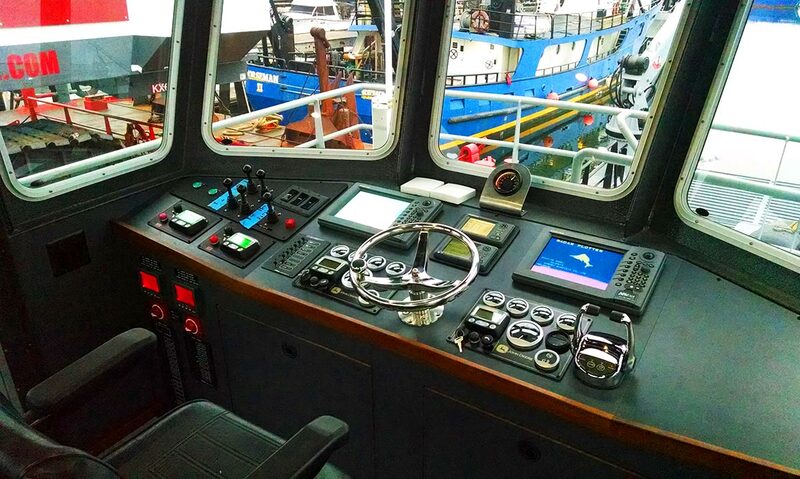 Curtin Maritime designs, builds and operates all of our own equipment, from complex projects like the design and construction of our cranes to repowers of our own vessels. 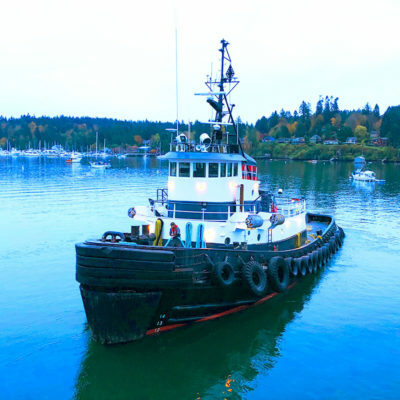 The boat was delivered to Curtin Maritime after contract award and the project got underway with the demo of all the old systems, engine removal, and engine room modifications. The old Detroit 12v71’s were replaced with a set of new Tier III 13.5L John Deere 6135’s and were mated to the existing 5-14 gearboxes. 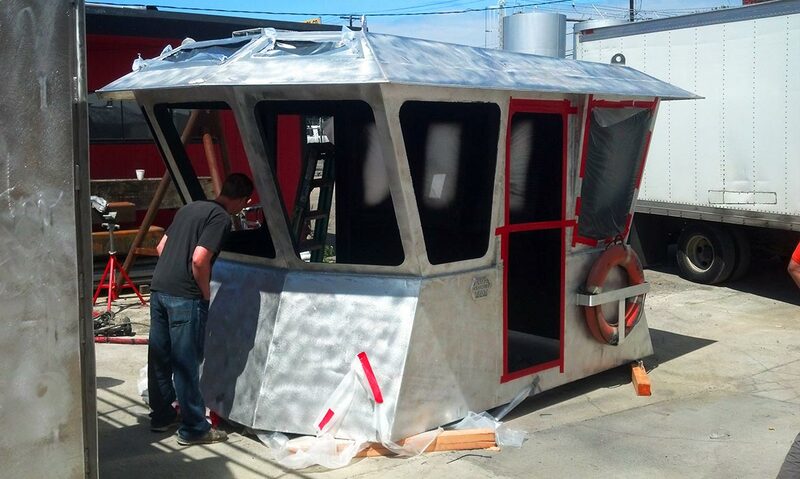 The new engines gave the boat a slight upgrade in horsepower, as well as meeting the latest EPA emission standards for commercial craft, keeping in line with the POLB green practices. 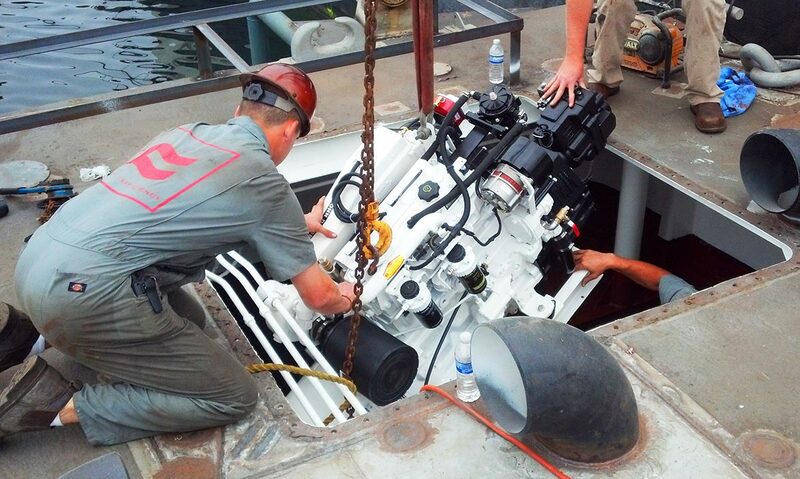 With the need for a potent hydraulic system and plenty of power for all the dive compressors and other equipment that will be used on the boat, two new Tier III John Deere MG65 gensets were put in and mated to dual 66.5gpm Kawasaki KV3L140 hydraulic pumps. 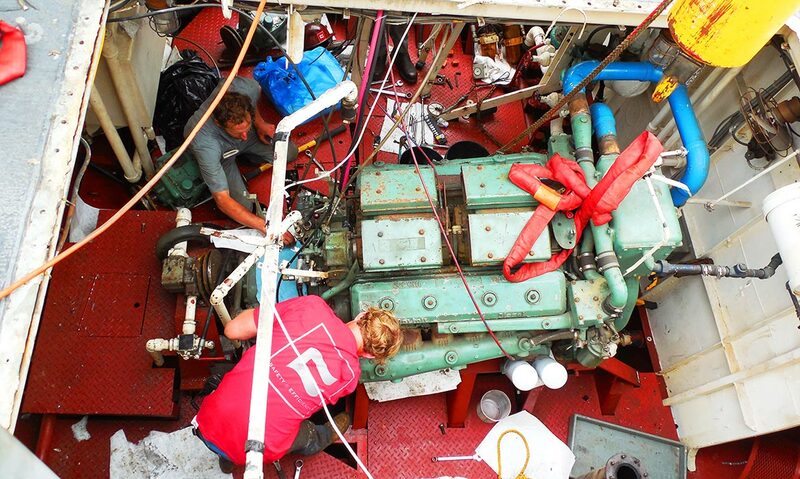 4 Pull Master H18’s with rapid reversing and 150KG Flipper Delta anchors made up the 4point system and an 8ton Hydro crane was mounted on the port side. 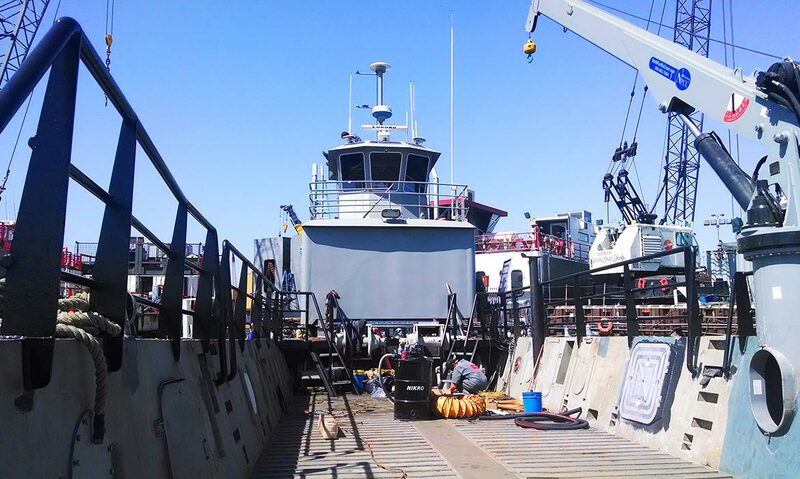 The boat was dry docked and completely repainted and had all new handrails installed to ensure crew safety and custom dive ladders were put on both the stern and bow. 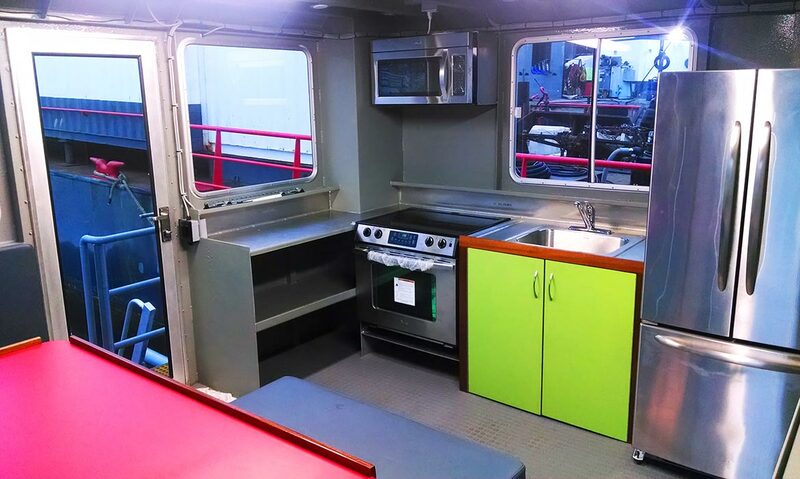 All the new equipment was topped off with an aluminum upper and lower house with a galley, dinette and head down below and wheelhouse with winch controls and a complete Furuno NavNet electronics package above.